Photo courtesy of Douglas Roche III. In an interview for a Butler Collegian article I wrote last year about secondary language, Alex Quintanilla, Butler department chair of modern language, literatures and cultures mentioned there was still time to apply for the faculty-led Semester in Spain program for the Fall 2018 semester. Taking a leap of faith, I rushed to get my application into the Center for Global Education. The following day, I received notification of my acceptance and, unbeknownst to me at the time, committed to a mind and life-altering experience. 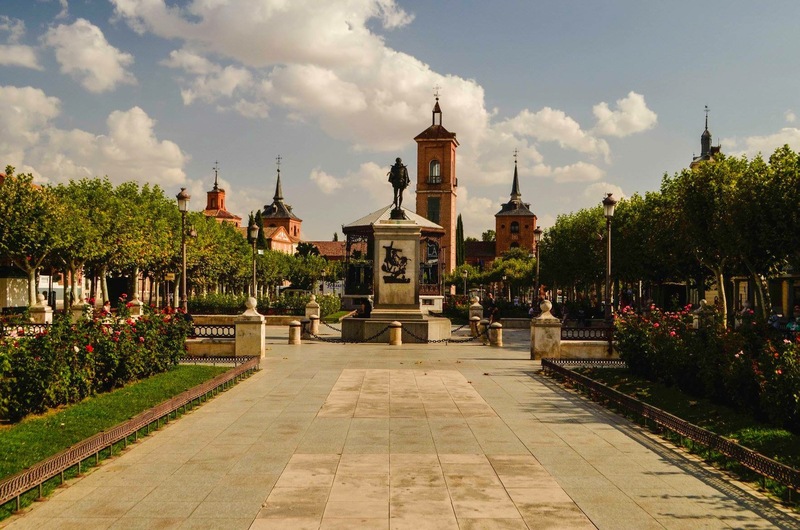 Along with 15 other Butler students, I spent 107 days in Alcalá de Henares, Spain, taking classes at the Benjamin Franklin Institute of the University of Alcalá. In addition to classes taught entirely in Spanish, the fully-immersive program had us reside with host families, which provided another layer to the experience. The bouts of homesickness I experienced in my three months away were infrequent— a pleasant surprise. That is to say, I did miss my friends, family and two English springer spaniels, but an important thing I got out of the experience was learning to confront the feeling of missing people. I briefly allowed my mind to wander in uncertainty before I reminded myself I absolutely wanted to be here and was just anxious for the experience to begin. I chugged a bottle of water, changed my shirt and socks, grabbed my camera and took a 20-minute walk down to the Plaza de Cervantes for tapas and Spanish beer. It was this decision that set the standard for my semester — I would keep myself busy, which would lead to decisions that I’d gain experiences from, as well as keep me in a good mindset while I was away from home and focusing on where I was. Conveniently, I was a 35-minute train ride from Madrid, Spain’s capital and largest city. There were dozens of students in the same boat as me: trying to make the most out of the next three months and doing as much as we could before returning to our realities. There was no shortage of things to do and finding people to do those things with was always just a WhatsApp message away. When classes were over, we often finished our homework and met over tapas and drinks in Plaza de Cervantes. Weekends were spent exploring different countries, which was perhaps the most drastic change of pace as I was used to spending my weekends at Butler watching TV and listening to records while I blew off doing laundry or getting groceries. One perk of the program being faculty-led were the included weekend trips to the Spanish regions of Galicia and Andalusia, which tied into our linguistics class since were studying the dialects and cultures of those regions. Our trip to Galicia included a stop at “The End of the World” in Finisterre. From the edge of the cape, nothing but the Atlantic Ocean could be seen. View of the Atlantic Ocean from “The End of the World” in Cape Finisterre, Galicia, Spain. Located on the edge of Spain, the cape has become the ending point to hikers’ path on the Camino de Santiago (The Way of Saint James), which is a pilgrimage route over 200,000 people travel every year that extends from France to the Cathedral in Santiago de Compostela, Spain, and finally to Cape Finisterre. Photo courtesy of Douglas Roche III. The view looked directly toward the United States, which resided just across the waters 3,000 miles away. This led to the realization we had just gotten the closest to home we would be for the next three months. This comforted me because I knew I would have an experience to share when I flew over those waters again. More trips followed, which entailed seeing structures older than the Declaration of Independence, a wide range of art — Banksy and Rudolf Hausner being my favorites — food markets, a lifetime’s worth of tapas, and exposure to the cultures and lifestyles of nine different countries that I could Lime scooter through until the sun went down. I spent one weekend alone in Vienna, Austria, which is something I implore all introverts to do if they are abroad: Go out on your own. The pros to doing a weekend on your own include making yourself the priority. Nobody else needs to be taken into account, so you can do what you want at whatever pace you wish. You become more comfortable with your mind, which I knew was something I needed to work on when I put my program deposit down last April. This leads me to the most important thing I took away when I was gone: In order to learn and improve yourself, it is important that you put yourself out of your comfort zone. Doing so identifies your strengths, what you fear and how to confront those fears or negative perceptions of yourself by applying those strengths. It’s pretty much an immersive way of working on yourself, but having fun in the process. I spent a lot of time thinking about people, too. When you are away from those you frequently surround yourself with at home, there is a lot of time to examine those relationships, what is good about each one, how they can be improved and even recognizing the ones you are better off without. You return with a greater appreciation for the people you care about and optimism moving forward in those relationships. The adjustment period when you return home is not an easy one. By the semester’s end, I was ready to be home for the holidays and excited to apply what I learned in my time abroad to my everyday life, but the change of pace will ultimately be challenging for some time. As I laid my head on my pillow at home for the first time in 107 days, I struggled coming to grips with how fast my time abroad had passed. In the same style that I dealt with the initial uncertainty I felt when I arrived in Spain, I plan to keep myself busy and continue doing things I like. I’ll see the people I wish could have come along, and enjoying feeling like everything is new again.